The Hai Phong People’s Committee recently licensed a 500 million USD increase in FDI into an organic light emitting diode (OLED) display production and outsourcing project by the Republic of Korea’s (RoK) LG Display Co. Ltd. The project, which was initially worth $1.59 billion, received approval to be built on a 54ha site at the Trang Due Industrial Zone in Hai Phong in April, 2016. It included the construction of a factory producing OLED panels for TVs, mobile phones, smart watches, and tablets; as well as 13 residential buildings that can accommodate up to 12,000 workers at the industrial park. Put into operation last year, the project is LG Display’s first OLED display production site situated outside the RoK territory. Most of its products are targeted towards the world market, with around 20 percent of output serving domestic consumption. Similarly, $312 million was also added to the production of robotics, automatic parts, and controlling devices by Japan’s Rorze Robotech Co., Ltd. at the Nomura Industrial Park in the northern port city. The extra funding brought the total FDI injection into the project to $738 million. The factory has a designed capacity of 210,000 robotic parts and 30,500 controlling devices per year. So far, a total of more than $800 million in FDI landed in Hai Phong this October. During the first nine months of 2018, the city’s FDI attraction exceeded $1.45 billion, almost doubling the figure year-on-year. The injected FDI was not only used towards developing projects, but also as a huge boom to domestic investment, fostering the expansion of investment in infrastructure, services, support industries, and logistics; as well as the effective use of local resources like land, factories, and machines, said Pham Van Moi, head of the Hai Phong Economic Zone Authority (HEZA). 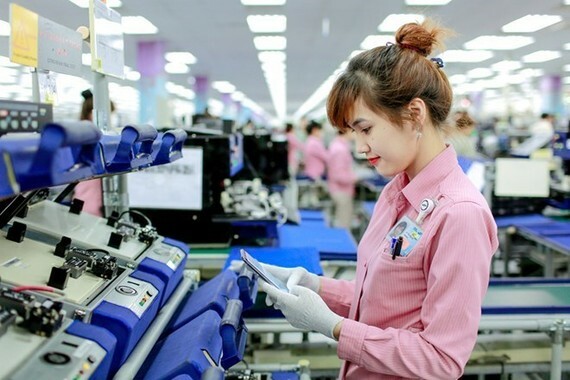 According to Moi, Hai Phong has attracted a number of big international corporations such as Bridgestone, LG, Kyocera, Fuji Xerox, Nippon Pharma, and GE. The remaining FDI has gone into projects in manufacturing, infrastructure, real estate, trade, and services. General Director of Dinh Vu Indistrial Zone JSC in Hai Phong Frank Wouters said that improved infrastructure – what with the expansion of Cat Bi International Airport and the launch of the Lach Huyen International Gateway Port, the Hanoi-Hai Phong Expressway, and the Tan Vu-Lach Huyen Highway and Bridge – has been a major magnet to woo more foreign investors and bigger projects to the port city. Previously, annual FDI injection into Hai Phong stood below $500 million. However, in recent years, the city has seen stronger FDI inflows, hitting approximately $3 billion in 2016, said Moi. The city expects to welcome over $2 billion in FDI this year, he added. Meanwhile, in Hai Duong, Japan’s Hitachi Cable Vietnam has invested an extra VND 900 billion ($38.4 million) into expanding its cable production facility at the Tan Truong Industrial Park. 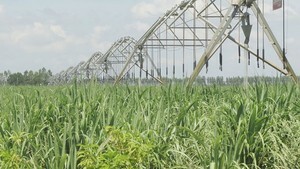 The 10ha project started in 2008 with an initial funding of more than VND 435 billion ($18.56 million). To date, its total investment has been raised to over VND 1.78 trillion ($76 million). Several other FDI projects in Hai Duong have also received additional funding. They include a factory manufacturing automobile intelligent electronic components by Kefico Vietnam Co., Ltd., a member of the RoK’s Hyundai Group, which received an extra $120 million in FDI; and the production base of Sumidenso Vietnam, a subsidiary of Sumitomo Wiring Systems Japan, which engages in producing wire harnesses and electric wires used for the electronics and automotive industry. In the first three quarters of this year, the province has raked in $522 million in FDI.